Antique Doll House. Do you want to part with yours? You are exploring the antique doll house world. An amazing journey for sure. People from around the world simply love collecting and participating in dollshouse collections. Have you heard of Tara's Palace? This was a work of art that started in Ireland and eventually had various components supplied to it by nations great and small. Because of the loss of another grand dollshouse, Tara's Palace came into being to start with. Ireland had gotten word that Titania's Palace was not going to be returned to the country that had created it. Ireland. The Country of Ireland was the chief creator in the instance of Tara's Palace as well! But Denmark had come into possession of one of their unique collectibles. Read on to find out what they did as a result. To bad really that things go sour in the collectibles world sometimes ... I hate hearing that collections are lost. Quite possibly as we research the loss of any collector items we will discover sometimes for one reason or another the collections had to be sold... or were at times even stolen. Not that this particular collection was stolen but... such is mankind and history in general. And one can not live depressing over every little piece of history we encounter. Can we? Especially if we are going to continue being child like and have a fair bit of fun with our own creations. 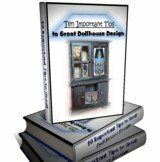 Furnished Dollhouses: 1880s - 1980s (A Schiffer Book for Collectors). 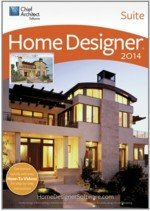 Read this book for more info on Houses in our history. 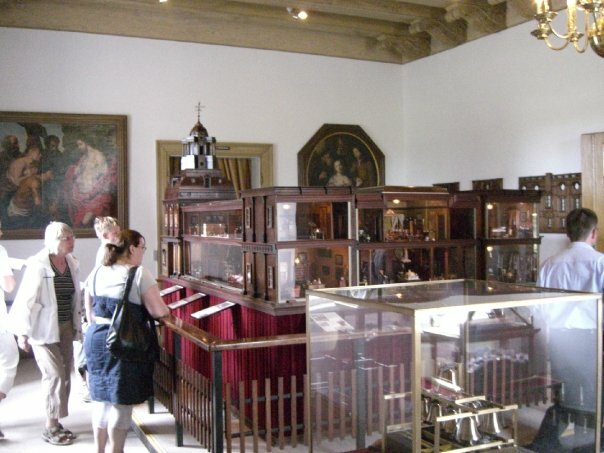 The creation of Tara's Palace antique doll house began in 1978. It incorporated the wonderful craftspeople of Ireland again, as it had with Titania's Palace. With determination they began creating and they hoped this would be another work of art from out of Ireland. They definitely succeeded. Crafted in 1:12 scale as the previous dollshouse had been. It was a 22 room masterpiece inspired by three different Irish buildings of the 18th century. Castletown, Carton, and Leinster. Plus it continued on with the tradition of fundraising for children's charities as Titania's Palace originally had. Isn't that something now? 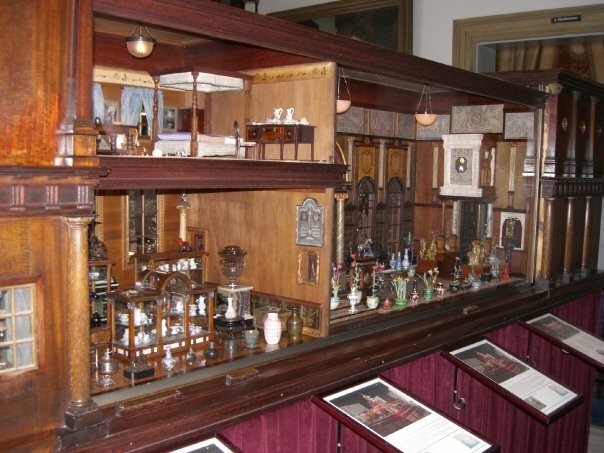 Dollhouses, when they first appeared in history were never meant for children but for adults who liked collecting. Now here this antique doll house is raising money for children. Times have a way of changing, do they not? "Friends and antique dealers donated miniatures they had collected and treasured. Individuals and companies sponsored rooms, artists and crafts people created new miniature works. Ordinary people, who became aware of the project, were inspired to contribute everything from needlework to miniature peat buckets, to parquetry flooring made from ancient bog oak." That's right do not wait. A lot of people require someone to tell them important information many times. Before they really get it. Save yourself time by learning to acquire skills needed quickly. It will save you valuable time in the end process. You will truly be ahead of others when you do this least thought of tip. Trusting the information presented always comes through reading and education in a matter. Read all you can and study the ideas illustrated to go beyond your questions to knowledge. Then decide on what you want and take action. Titania's Palace was a miniature castle build in Ireland by James Hicks and Sons. It was intended for Sir Neville Wilkinson's handicapped daughter Guendolen. Titania's Palace took 15 years to build between 1907 and 1922. Little wonder they sincerely were depressed when they were told it would not be returned. It is simply breathtakingly beautiful! And what was it that removed it from the Irish heritage? It was eventually sold to Legoland, Denmark in an auction. And what can we learn from this historical event? Be absolutely sure you really want to sell your collection. And if you do, place it where you want it and turn your back and walk away. Keep on building your doll's home and learn from history. 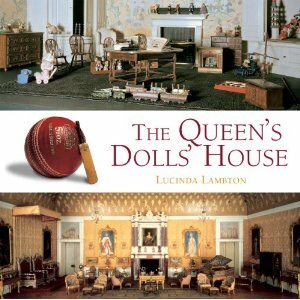 Look in these antique doll house books for even more clues about historical doll homes still around today.